Why does this show up when you Google this site? And why does it sometimes re-direct to myfilestore.com? There was a thread on it earlier in the year. It seemed like some one had inserted code or something into the site. The admin said that he knew what was wrong and how to fix it so I dunno. I just go back and reload the page and that normally fixes it. But occasionally avg anti virus quarantines a file. But occasionally avg anti virus quarantines a file. That's a little concerning... better update the anti virus then! Why no https on this site? It's prudent to update it every time. Especially with all of the ransom ware going around. "Compromized website" was the warning at work, no access to site from there. What I'm seeing EVERY time I open any page,thread or PM. Slightly painful. 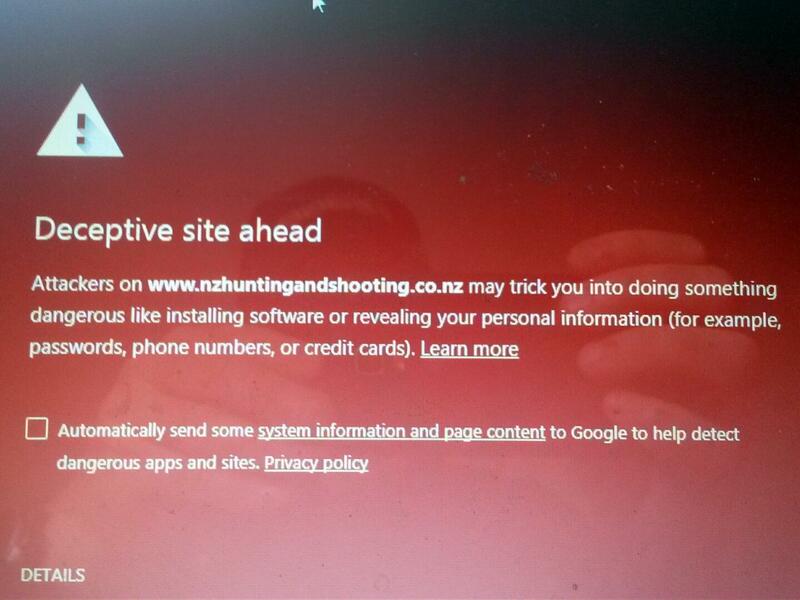 Chrome on my work computer comes up with that too, and the antivirus package blocks access to the site. Showed it to the IT guy today and he recommended staying away from the site. Loads up ok on my home machine, but now I am worried. I get the same warning. Sometimes when i try to log in,i am instead redirected to another site(MY file store) I think it is. I can no longer navigate the site due to this warning screen 'Warning: Suspected phishing site' intruding in every thread/page. NZHS bay be becoming hopelessly compromised.